Werner's on record asserting that of all the disciplines he engaged with before creating his magnum opus of transformation, Zen was the essential one. It's entirely appropriate for people who are interested in transformation, to be interested in Zen. If you know Zen (that means if you get Zen) then you get the possibility of never being bored - not because you've always got something interesting to do, but because you do what you're doing while you're doing it, no matter what you're doing. To tell the truth, I didn't realize what I was getting into when a friend asked me if I'd be willing to assist her with a paperwork project. I accepted. Then she said it would take about five days to complete. Five days? Hmmm ... I looked at my calendar and penciled in five discontiguous days. On the first day as she was explaining what the project entailed, I knew it was going to be like nothing I'd ever experienced before in an office environment. Imagine the biggest collection of paperwork you possibly can. Now expand it a thousand times, and you're still not even close to what I was about to start on. It was patently clear to me why she needed assistance. Right at the get-go, I committed myself to being trained by the experience. I surrendered all my resistance and pre-conceived ideas about rote, boring work. Transformation cuts a swathe across and prior to all pre-conceptions and considerations. Both "rote" and "boring" are considerations. There's the possibility of bringing transformation to bear on any and every endeavor, including rote, boring ones - probably even more so, given what you have to surrender to master them. That's a context I created. 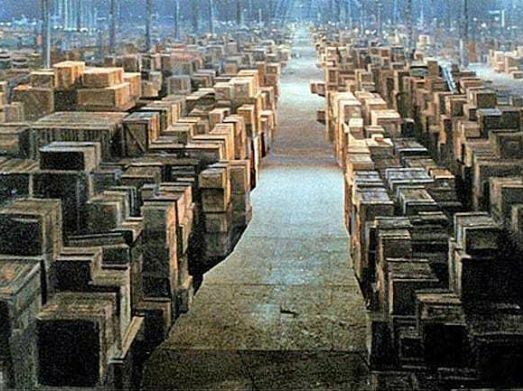 I then began assuming the being of a resident monk in a monastery's vast warehouse of filing cabinets which store its papers like sacred objects. This would be the Zen of paperwork: an experience, an opportunity for satori and staples, moksha and manila folders. Part of what transforms an erstwhile rote, boring task into a worthwhile experience, is our being willing to deal with fine detail and minutiae, as an opportunity rather than a predicament. It's the opportunity to relate to (ie to learn to relate to) minutiae ie to the mundane, as if to the sacred. The fine detail and minutiae of a mammoth paperwork project, is what it is. It (in and of itself) has no intrinsic rote, boring qualities. "Rote" and "boring" are qualities only human beings say are there. Assessing which qualities you assign to any project ie taking responsibility for them, then choosing afresh whether to keep them or not (and in the case of not, then bringing forth others in their stead which serve the project better) is ground zero ie it's the bedrock on which Zen walks. There's something else Werner says which when gotten, has the power to awaken (in the sense of to enlighten): "Life is empty and meaningless, and it's empty and meaningless that it's empty and meaningless" (note: making it mean something that it's empty and meaningless, is more arrogance). If you get that, you can get as much value and enjoyment from a Mount Everest of paperwork, as a stroll down the Champs-Élysées, or a sail on an Amazon river boat. Some of us get it intuitively. Others request clarification and training. Engaging in a mammoth five day, finely detailed paperwork project, is a good place to start. It's great training. It's good Zen.